Trees for Scotland. 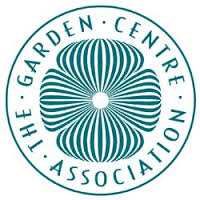 For more information See Kenneth Cox's books Garden Plants for Scotland and Fruit and Vegetables for Scotland. 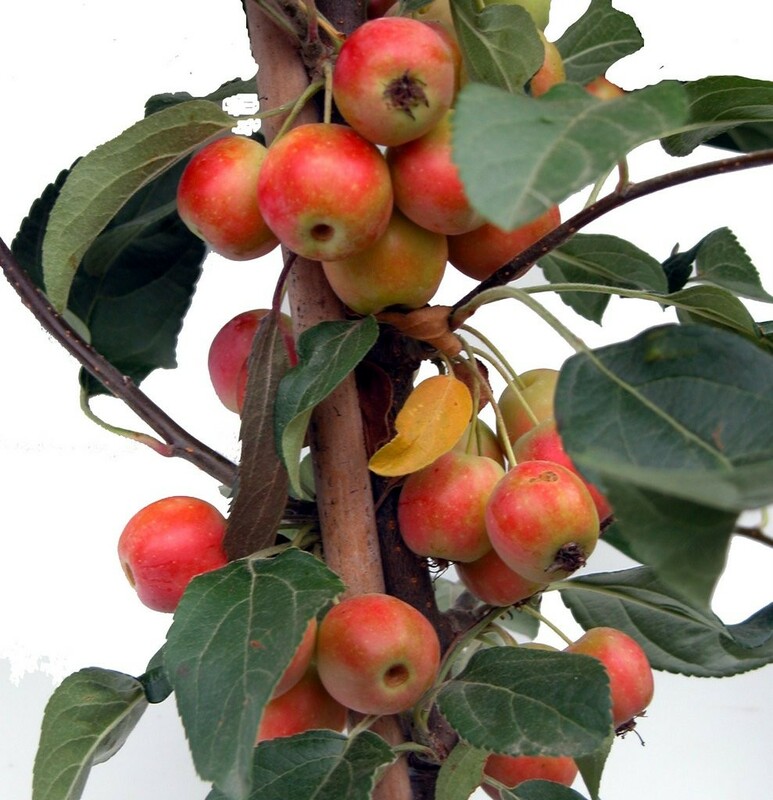 New season's tree are now in stock. 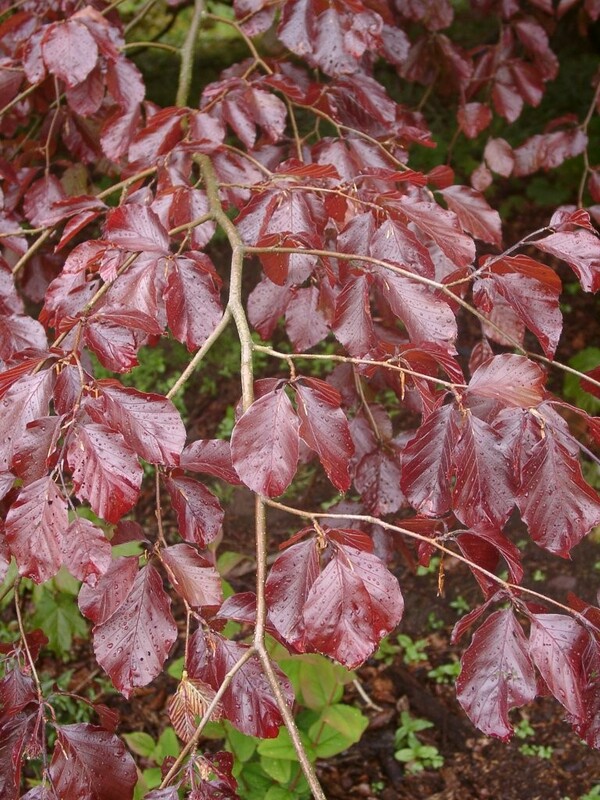 Autumn is the ideal time for establishing trees. 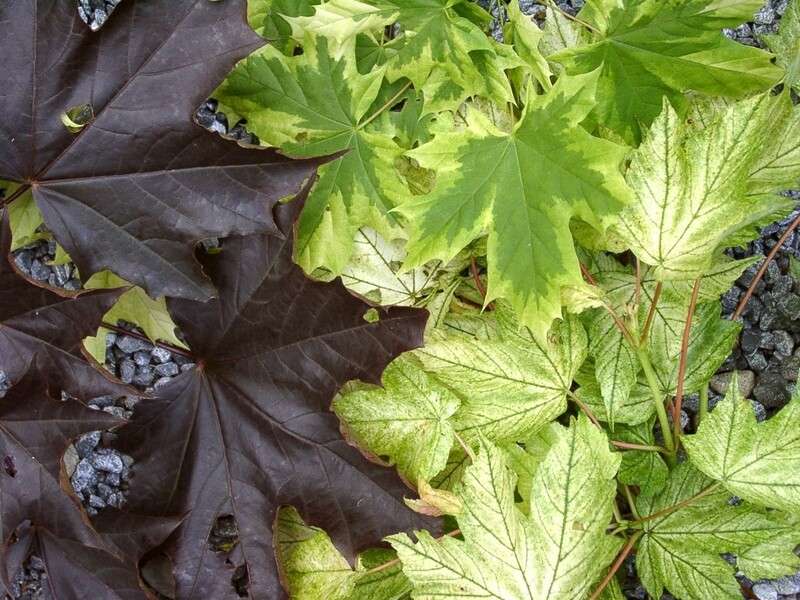 Acer platanoides (Norway maple) 10m Good in clay soils. Coloured leaved forms. 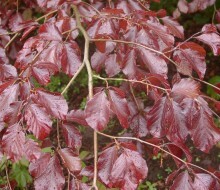 ‘Crimson King’, ‘Crimson Sentry’ dark reddish purple leaves. ‘Drummondii ‘ leaves with cream margin. 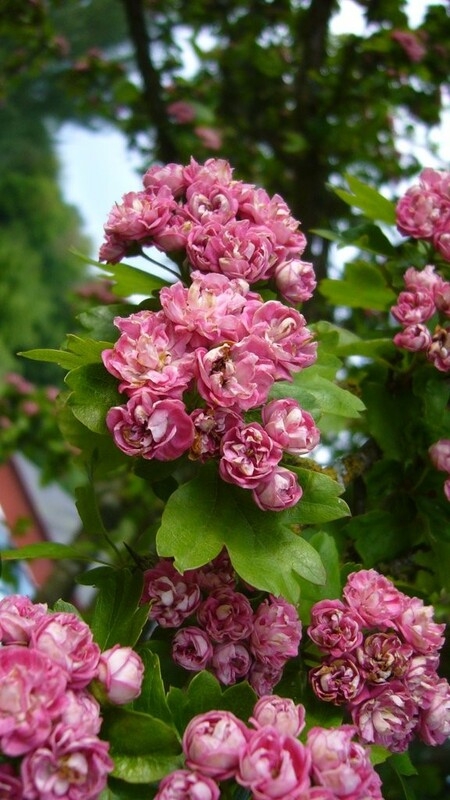 Crataegus laevigata (hawthorn) H5 Size 4-8m Masses of tiny white, pink or red flowers in late May. Some forms have haws (fruit) in Autumn. Tolerant of most soils and conditions: wind, seaside, heavy soils. Fagus sylvatica (beech) H5 Size 3-10m Long lived giants but can be pruned and shaped and for small gardens the Fastigiate (Dawyck) forms make narrow columns. Copper forms have purple leaves. H5 7-10m. Both ornamental and edible varieties (for making Jelly). 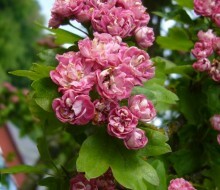 Fine medium-sized trees with attractive flowers in early summer and fruit in autumn. H4-H5 4-6m or more. Bursts of spectacular colour in spring. Best in well-drained but not dry soil. 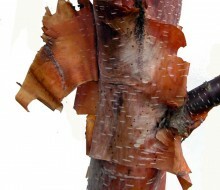 P. serrula has fine bark. Useful for damp, heavy, clay soils. Some can get very large and best not sited near walls and houses as the roots can interfere with foundations and drains. H5 5-10m. Excellent small garden trees. Berries in many colours last for weeks or months in autumn-winter. Some have fine autumn colour and most are tolerant of wind. 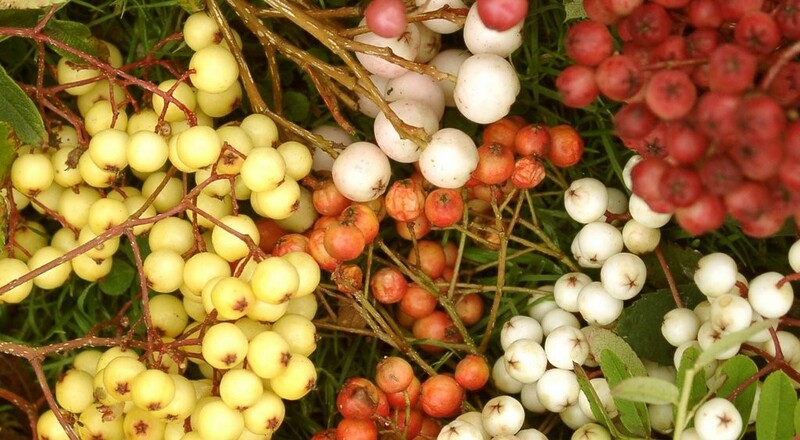 Some of the best are: S. acuparia (our native Rowan) 4-6m+, red berries, ‘Joseph Rock’ 4-7m, yellow berries. 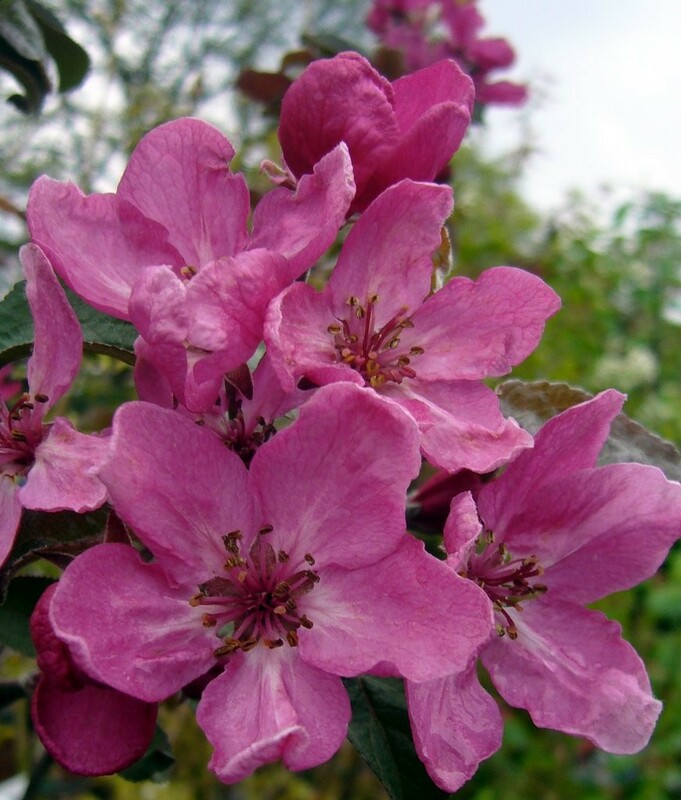 From Glendoick's 100 best plants for Scotland Leaflet. Available from Glendoick Garden Centre. Trees are an investment and they can last for generations. They are mostly sold as 3-4 year old trees 2-3m in size. These have fully formed trunks and should be suitable for most gardens. 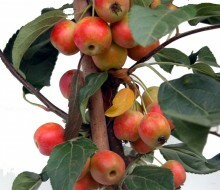 Most trees need staking when young and careful soil preparation and watering in dry weather till they are established. 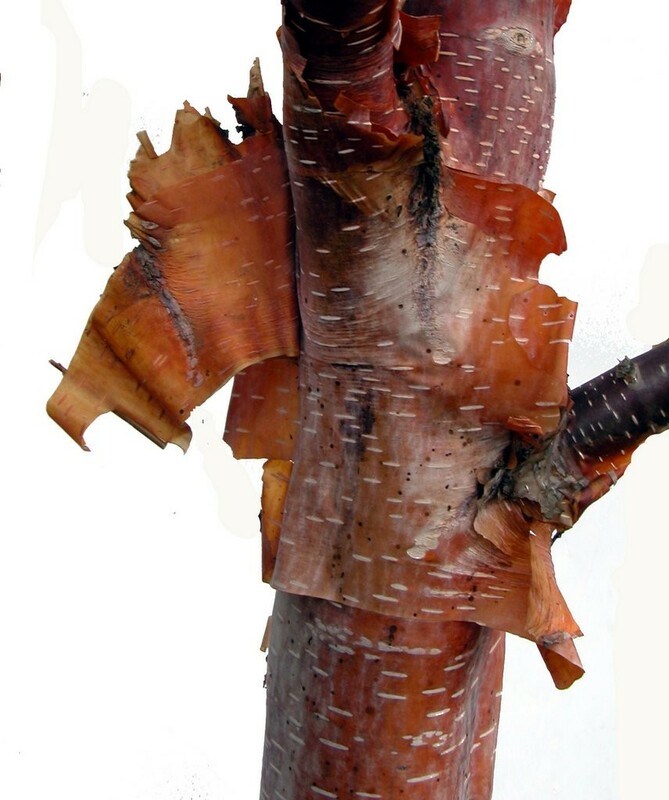 For small gardens choose trees such as those listed below with interest for months of the year: coloured leaves, flowers, berries or bark. Height range given is approximate size after 10-20 years. Trees absorb CO2, removing and storing the carbon while releasing the oxygen back into the air. In one year, an acre of mature trees absorbs the amount of CO2 produced when you drive your car 26,000 miles.In one year an acre of mature trees can provide enough oxygen for 18 people. Trees reduce runoff by breaking rainfall. 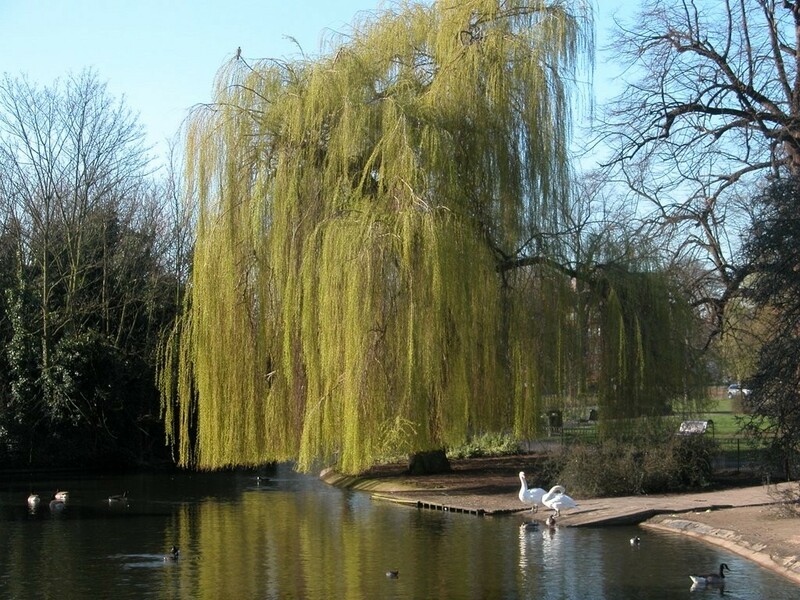 Trees act like a sponge that filters this water. 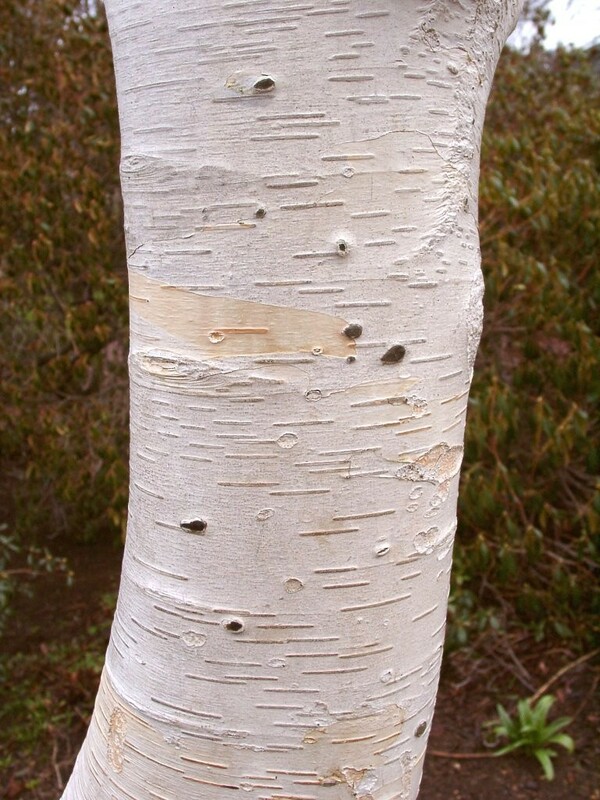 On hillsides or stream slopes, trees slow runoff and hold soil in place. 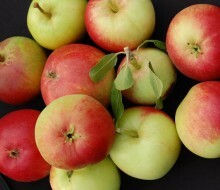 An apple tree can yield up to 100s fruit per year and can be planted in the tiniest garden urban lot. 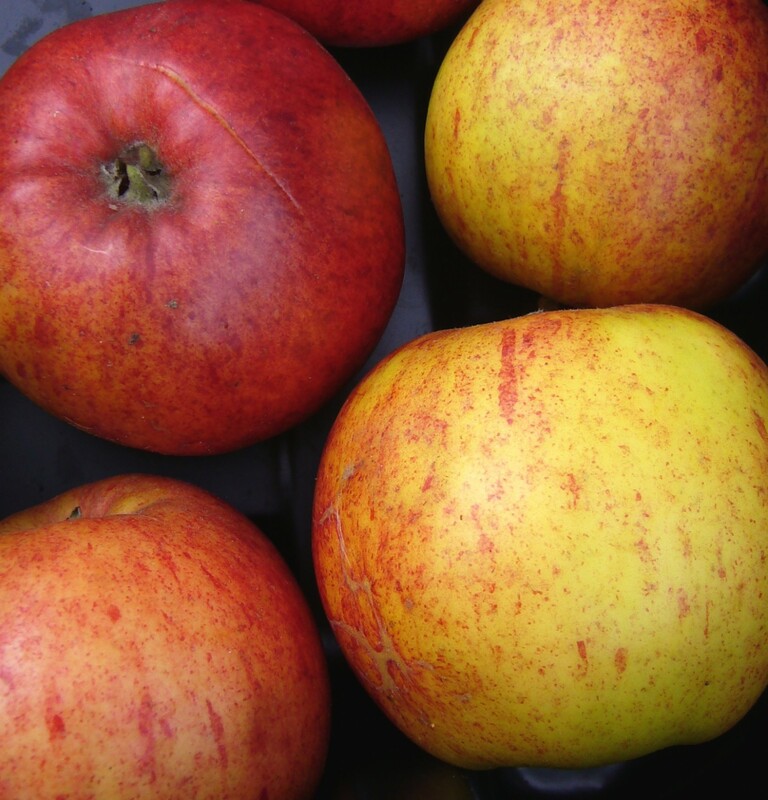 Aside from fruit for humans, trees provide food for birds and wildlife. 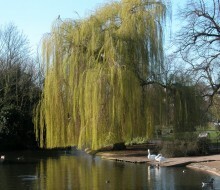 Trees and woodland have been shown to add to welbeing and to calm people in the face of life's stresses. 8. Trees can be planted to mark any occasion.